Details for all workshops and testimonials below image collage. BRIEF DESCRIPTION:With the huge success of our first sold-out workshop in January and the demand from photographers wanting to truly master the craft of fine art printing, Robert Park and I will be repeating this workshop! World-renowned master printer Robert B Park of Nevada Art Printers, Las Vegas (innovator of the highest quality super gloss photo paper in the world - proprietary Lumachrome HD) and digital imaging specialist and educator Mark Metternich are again teaming up for a one of a kind, 2 day, super intensive workshop that will give you EVERY detail necessary for truly mastering all processes of fine art printmaking! Not a single topic will go unaddressed, not a single stone will be left unturned and not a question will go unanswered. The curriculum covers everything and this workshop will be for the beginner to the highly advanced professional (even print lab owners) wanting to totally master their craft. 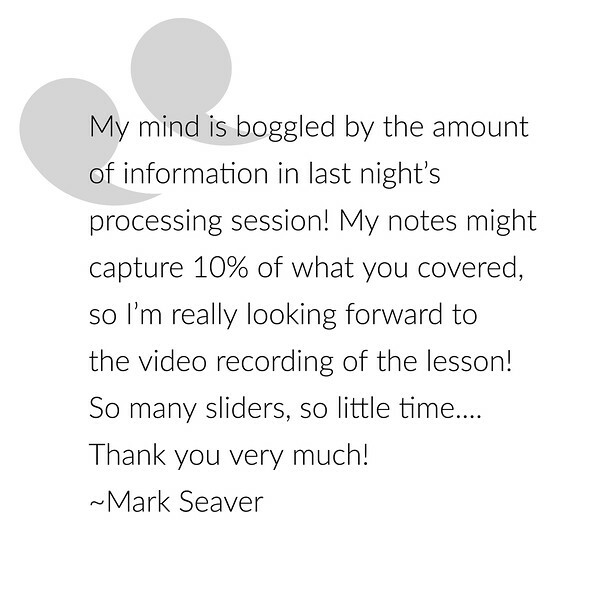 The entire training will be recorded as MP4 videos for later review (no extra charge) and there will be plenty of hands-on teaching and prints made. Lunch for 2 days is covered in the cost, and for inspiration, everyone will visit a world-class Gallery or two where master images have been printed by Robert. Please email me to join our mailing list for much more details. *1 FREE extra day of post-processing training has been added to this tour! Are you ready to embark on a great adventure in one of the most beautiful and photographically diverse regions in the world, the Pacific Northwest? How about during the peak of spring?! I am more than ready to lead! Arguably, no place on earth exceeds the Pacific Northwest's immense diversity in landscape and it is no wonder it has produced some of the greatest landscape photographers in the world. For over 10 years now, my “Ultimate Pacific Northwest” workshops have been among my most popular and favorite workshops to lead all year. As spring hits its peak, the Pacific Northwest literally explodes with diverse photogenic beauty around every corner. North, south, east or west, get ready to explore the awesome Northwest from gorge to mountain, to high desert, to coastline and so much more, all of it prime for epic imagery and adventure. As with my other tours, as a 14-year leading educator in post-processing (Lightroom, Camera Raw, Photoshop) one EXTRA full day will be set aside for extensive post-processing training, in a pleasant hotel or Air B&B. All attendees will have the option of developing their specific skill sets much further, and no topic will be avoided. The general curriculum will be based on each person in the group’s specific educational goals. My document “Fundamental Keys to Mastering Post Processing Workflow” will be given out to all attendees to help them pinpoint what post-processing skills are priority for them to learn. All post-processing training during the tour will be recorded and given to attendees (MP4 video) free of charge. Discounts on my Post Processing Training Video Tutorials will also be available. There is nothing like the Great Southwest at its peak photographic season. This trip will be centered around capitalizing on the highest precipitation time of the year. This means the highest potential for dramatic clouds, rainbows, lightning and infamous SW light! Our base location will be Page, Arizona to start the tour but we will be going to a wide array of locations matching great light with epic and original desert landscape scenery! Whether we get wild weather, thunderheads, rainbows, lightning or even simple blue sky days all situations are easily capitalized on in the SW.
In-case we get a couple blue sky days, slot canyons are their very best then and the entire tour is built around the New Moon for Epic Night Photography! We may also go see one or two lesser-seen gooseneck bends. As with my other tours, as a 14-year leading educator in post-processing (Lightroom, Camera Raw, Photoshop) one EXTRA full day will be set aside for extensive post-processing training, in a pleasant hotel or Airbnb. All attendees will have the option of developing their specific skill sets much further, and no topic will be avoided. The general curriculum will be based on each person in the group’s specific educational goals. My document “Fundamental Keys to Mastering Post Processing Workflow” will be given out to all attendees to help them pinpoint what post-processing skills are a priority for them to learn. All post-processing training during the tour will be recorded and given to attendees (MP4 video) free of charge. Discounts on my Post Processing Training Video Tutorials will also be available. I am occasionally available for custom, private workshops and instruction in between my group workshop/tours. The availability of private customized workshop/tours come up randomly so please inquire by email if you desire a personalized tour. Rate: $600 a day (2-day minimum) plus additional expenses (fuel...). Group discounts may be available, please inquire by email. So stoked when my clients get the goods! Limited Edition of 200 An award winning image from Crater Lake with both a double rainbow and lightening strike at sunset. This is a special spot, at one time my address. I lived out here for months at a time to capture the wild light, soak up the beauty and become THE expert of Nature Photography in the Southwest. Image Copyright Steve Cullen (Client): This is what I'm talk'n about! Love it when my clients capture not only the scenery but also the moment! There's so much to be said about the workshops i lead. I want them to be more than just grabbing the shot... I want them to impress upon each and every client's heart, to be in the moment and appreciate the beauty of creation and build friendships that could last a lifetime. Yeah, those are my feet and that's one tight slot canyon! Love doing what I do out here with my clients.